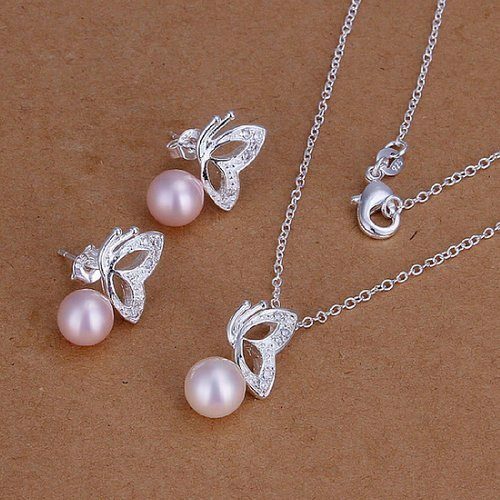 Pearl & Butterfly Necklace & Earrings Only $4.75 + FREE Shipping! You are here: Home / Great Deals / Amazon Deals / Pearl & Butterfly Necklace & Earrings Only $4.75 + FREE Shipping! Head to Amazon for this fantastic deal! Get the Pearl & Butterfly Necklace & Earrings for Only $4.75 + FREE Shipping! This will make a great gift for yourself or a friend!